Rosemount Tank Gauging System from Emerson has been certified for functional safety by Exida, the global leader in functional safety certification for the process industries, ensuring that it meets the functional safety requirements for Safety Integrity Level (SIL) 3 capability per IEC 61508: 2010. The Rosemount solution integrates easily with your existing network, DCS or host computer system. It features emulation possibilities of other vendors´ level devices, so independent of measurement technology, a system upgrade is easy. A Rosemount Tank Gauging system can be based on IEC 62591 (WirelessHART), be traditionally wired, or integrate both system design types. Exida, a global supplier of functional and process safety products, services, and certifications has released CyberPHAx™, a tool that allows users to effectively conduct a Cyber Risk Assessment to identify potential cyber-attacks and to document existing or planned countermeasures to estimate residual risk of a cyber-attack. CyberPHAx™ is a Process Hazards Analysis (PHA) tool tool that can be used by engineering personnel in project, process safety, information technology, and process control, as well as plant management, and operations personnel. CyberPHAx™guides users through the Cyber Risk Assessment process, effectively focusing the user on the task at hand, identifying types of cyber-attacks, potentially leading to hazardous events and their associated risks. Once the severity of a potential cyber-attack is understood, existing or planned countermeasures can be documented allowing an estimate of residual risk. If the tolerable risk target is not met, recommendations can be documented to lower the risk to a tolerable level. The Siemens Industry Automation Division has extended the range of functions of the Simatic WinCC Scada (Supervisory Control and Data Acquisition) software in its latest Version 7.3 and added the Simatic WinCC/WebUX V7.3 option package for mobile applications. Simatic WinCC V7.3 focuses on making engineering easier. The Configuration Studio now supports the central configuration of process data, messages, archiving and user management, and of texts in any languages. Communication options to current Simatic S7-1500 controllers have also been extended: it is now possible to directly transfer tags with symbolic addressing and the system messages of the controllers can also be handled. The new Simatic WinCC/WebUX V7.3 option package solution from Siemens meets the growing demand for access at any time to plant information using Internet-based and mobile devices. Simatic WinCC/WebUX V7.3 goes beyond the usual control center solutions on offer today to include just such Internet-based and mobile, flexible access to plant data. The package, which can be used across all industrial sectors, is suitable for a wide range of users within any company. From executive and production line management to service and maintenance, WinCC/WebUX V7.3 offers effective access to automation data from any location. This mobile access to information can be adapted precisely to meet individual needs. Configuration of the HTML5 Web pages is carried out with WinCC Designer. No special training is required for the WinCC application designer. 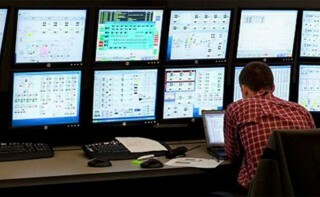 Innovative maintenance concepts, tasks for operations control or plant performance metrics can be made available in this way at any location, regardless of the platform. This enables management, for example, to keep an eye on production data at all times, while quality assurance is always aware of current processes in production such as fault messages or trends. In addition, the new option package also supports remote access to the production process. For example, the user can specify switching operations and setpoints for remote operation. Simatic WinCC/WebUX V7.3 is independent of any platform or browser and does not require client installation. For secure communication, https and SSL are implemented via Web standards (HTML5, SVG). User management is integrated in WinCC. The licensing model is scaled according to the required functional scope and number of users. Simatic WinCC V7.3 already includes a license for WebUX access for monitoring purposes. Yokogawa Electric Corporation has announced that its CENTUM® VP production control system has obtained the ISASecure® Embedded Device Security Assurance (EDSA) certification from the ISA Security Compliance Institute (ISCI). Cybercrime and cyber warfare are on the rise worldwide, and are growing ever more sophisticated. Recent prominent cases of industrial sabotage and espionage have escalated these concerns. Companies in the oil, petrochemical, power, and other industries are increasingly vigilant about such intrusions, and are being careful to check a product’s cyber security features before purchasing it. To assure customers of the high reliability of its products, Yokogawa obtained the ISASecure EDSA certification for the CENTUM VP production control system through a process that involved an examination by the CSSC (Control System Security Center) Certification Laboratory. This is the second Yokogawa product to receive ISASecure EDSA certification; the ProSafe®-RS safety instrumented system received the same certification earlier this year. Engineers designing machinery safety systems can now more easily collaborate across multiple languages using the Safety Automation Builder software tool from Rockwell Automation. The software – designed to help engineers save time when designing safety systems – has been downloaded more than 15,000 times since its launch in February 2013. It also was named one of the top 10 most innovative products at last year's SPS Drives show in Germany. The Safety Automation Builder software tool automates the safety-selection process. Users import an image of the machinery they need to safeguard and answer questions using a drop-down menu and help screens to identify and select the necessary safeguards. The software then compiles all product selections, generates a bill of materials, and compiles necessary data to populate IFA’s SISTEMA (Safety Integrity Software Tool for Evaluation of Machine Applications). SISTEMA helps evaluate the system in accordance with ISO 13849-1:2008. The software, which is available as a free download from the Rockwell Automation website, requires that users download and run SISTEMA. SISTEMA is available in a limited number of languages, so the Safety Automation Builder tool’s expanded language functionality allows engineers to more easily generate SISTEMA reports outside of their local language. For example, an engineer who doesn’t speak any of the languages offered by SISTEMA can create a bill of materials in his or her local language using the Safety Automation Builder tool. He or she can then import the data into SISTEMA, and generate a final report without needing to translate the information. The new languages include Chinese, Czech, Danish, Dutch, Finnish, French, German, Hungarian, Italian, Japanese, Korean, Polish, Portuguese, Romanian, Spanish and Swedish.